The Times Higher Education reports on two new initiatives in the Netherlands to bolster scientific standards. Here, I want to talk about one of these initiatives I was involved in: A fund for replication research. The board of the Dutch science funder NWO still has to officially approve the final call for proposals, but the draft text is basically done. Now I’m very proud of the Dutch NWO for taking such a bold step, and fund replication research. I’m also proud of the small role I played in this process. And because I think it’s a nice story of how you can sometimes instigate some change as a single individual, I thought I’d share it. In 2012, Sander Koole and I published a paper on the importance of rewarding replication research. We decided we would not just write about this topic, but act. And thus we wrote to the Dutch science funder NWO. We explained how performing replication research is like eating your veggies (Brussels sprouts, to be precise): Very few people get enthusiastic about vegetables, but if you don’t eat them you’ll never grow big and strong. Because researchers have spent all their money on sweets, science now has cavities. We need to stimulate healthier behavior. And thus NWO should fund replication research. I love how we recommend that NWO should also included money for an open access publication, which ‘is currently the only place where replication studies are published’. How long ago can 2012 feel? The response of NWO was classic. They write: “As long as a proposal contains innovative elements, and the results can contribute to the development of science, it fits within NWO calls. 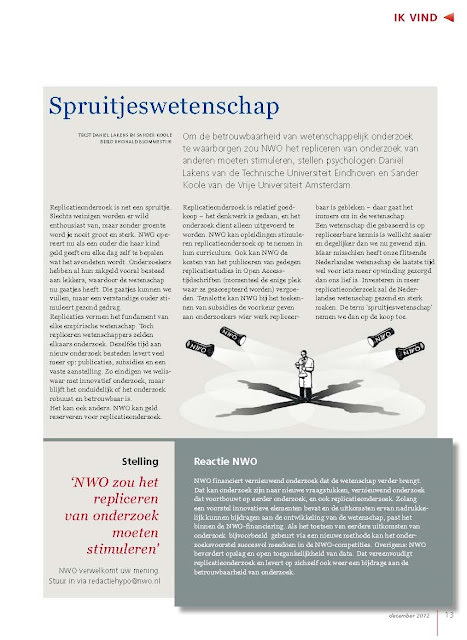 If the test of earlier results would for example be done through a new method, the proposal can successfully take part in the NWO competition.” (Our piece, and the reply by NWO, is available below, if you read Dutch). We can see they did not yet get the point (indeed, the replication grants that are now introduced are not available for conceptual replications, only for replication studies that use the same method). Now I had just completed my PhD two years earlier, and I fully expected NWO to ignore my opinion. But remarkably, they didn’t. Instead, they invited me over for a talk. A very nice talk. I explained the problems, and reminded NWO they legally had two tasks: Stimulate novel research, and improve the quality of research. This second task, I argued, could use some more attention. I proposed a possible solution (the current grants will be much larger than what I initially suggested), and everyone became enthusiastic about the idea to fund replication research. Change takes time, but here we are, some four years later, with €3.000.000 for replication research (to be spread out over three years). Many people at NWO have worked very hard on making this possible, and I’m grateful for all their work. 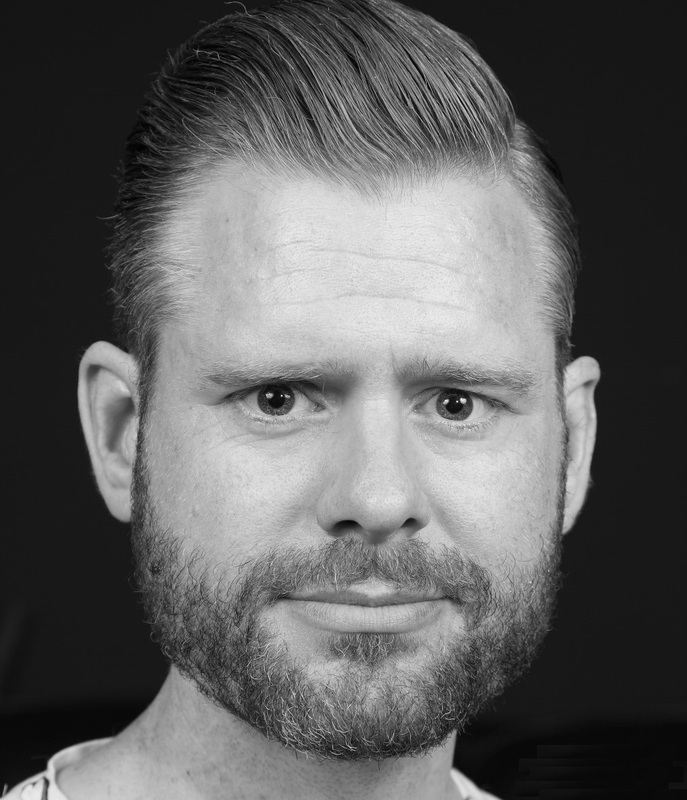 It’s been fun to be at the start of something as exciting as this bold step the Dutch science funder NWO is taking. I look forward to the cool projects researchers will do with these grants.